The NASA Jet Propulsion Laboratory’s Deep Space 1 was the first spacecraft to be autonomously controlled by an onboard** AI planner and execution system in the Remote Agent eXperiment (RAX). The spacecraft flew with other novel and experimental technologies such as an ion thruster. It visited Comet Borrelly in 2001. I have placed a 3D model of Deep Space 1 to realistic scale on the Space City area in our OpenSim grid. This uses one of the freely available 3D models available from NASA. Deep Space 1 and the Remote Agents eXperiment are used as a case study of AI Planning technology on the University of Edinburgh School of Informatics AI Planning MOOC – a Massive Open On-line Course on the Coursera Platform. ** An earlier AI planner from our own AIAI Planning group at Edinburgh generated plans on the ground on the T-Sat project which after validation were subsequently uploaded and used to control the UoSAT-II spacecraft. Drabble, B. (1990) Mission scheduling for spacecraft: the diaries of T-SCHED, Proceedings of the First International Conference on Expert Planning Systems, pp. 76–81, Institute of Electrical Engineers, 27-29 Jun 1990. Describes the scheduling system T-SCHED, developed to automatically generate mission command sequences for the UOSAT-II satellite. At present the schedules are generated by hand, which is a slow and potentially error-prone activity. While the exercise has shown the author’s techniques to be successful with UOSAT-II, further investigations are required of applicability to more complex satellites such as ERS-1, before a complete picture can be gained. The paper provides a brief background to UOSAT-II, describes the design of the scheduling system and the representation of the constraints within it, discusses a typical scheduling problem and test results. Finally it suggests possible directions for future work. 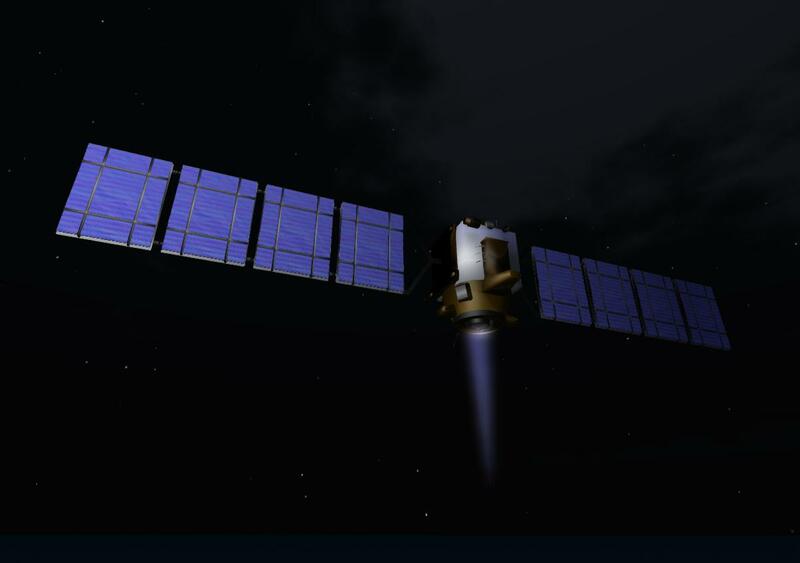 This entry was posted in OpenSim, Space and tagged Deep Space 1, JPL, OpenSim, Space. Bookmark the permalink.